As of February 1 the Boy Scouts of America is no longer a civics organization just for boys. It announced it’s now accepting girls, which most likely also means boys identifying as girls. 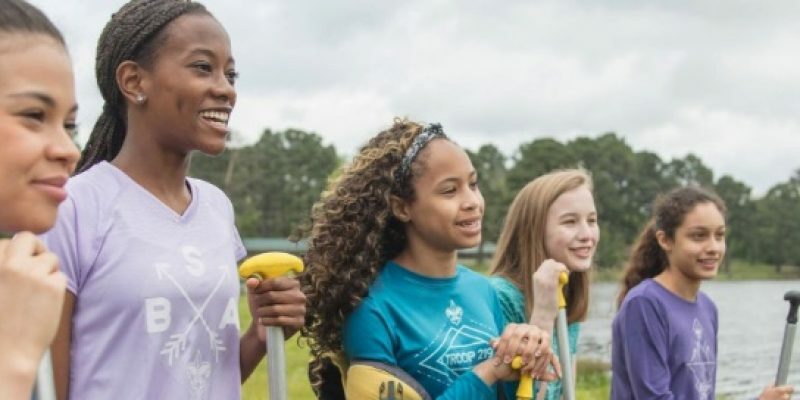 “For the first time in its 100+ year history, the iconic program of the Boy Scouts of America is open to both young men and young women,” the website states with a photo of girls. “Scouts BSA is a year-round program for boys and girls in fifth grade through high school that provides fun, adventure, learning, challenge, and responsibility to help them become the best version of themselves,” the website states. The website states that the programs for teens and young adults are “coed” and most of the programs are segregated. “Many underserved communities, including fastest-growing Hispanic and Asian communities, prefer to participate in activities as a family. “And, all families have less free time. More than one-third of parents feel they spend too little free time with their kids, and millennial parents are desperate to spend more time interacting with their kids.